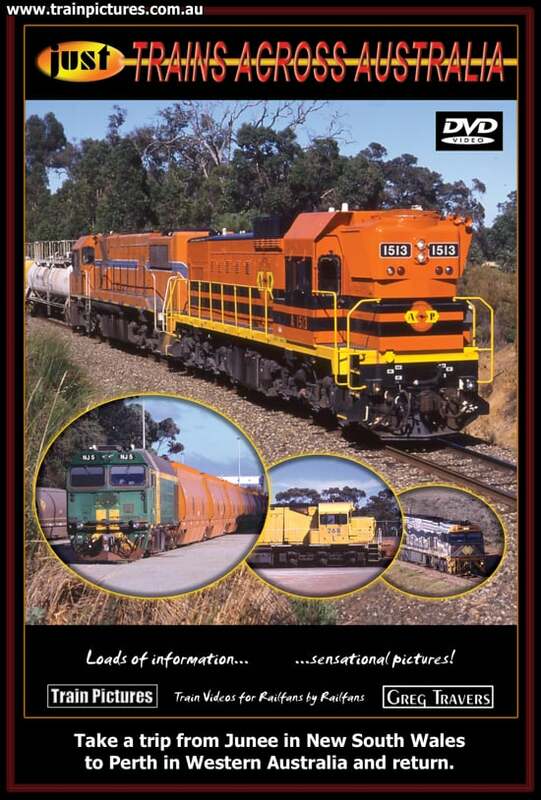 "Just Trains Across Australia” is a production featuring generous clips of locomotive noise, a wide variety of locomotives, colour schemes and operators. Filmed in January 2004 by Greg Travers, take a trip from Junee in New South Wales to Perth in Western Australia and return. Be surprised by the big, noisy locomotives on Western Australian narrow and standard gauge railways. Many maps illustrate where the trains are running, while specifications and subtitles of the 33 locomotives featured brief the viewer. Narration is included, added over the top of less sensitive train sounds. 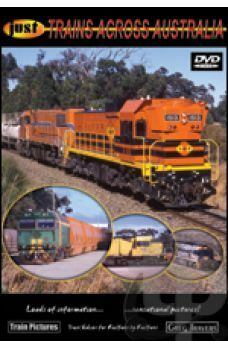 We are sure that you will enjoy “Just Trains Across Australia” by Greg Travers, the third production in the Just Trains series. Click on the poster to view a video preview and for video streaming options.